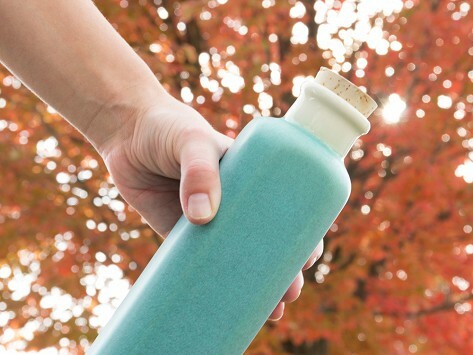 This beautiful clay vessel is Made in the USA, keeps water cool, and eliminates any metallic taste. 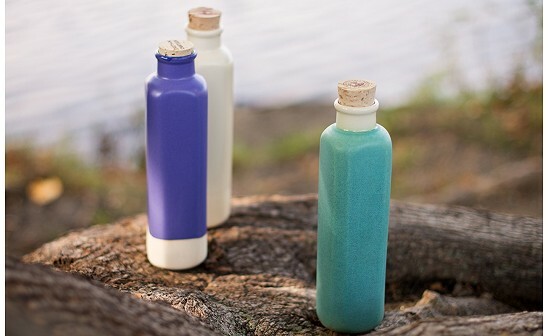 The Earth-In Canteen is plastic- and metal-free, and made with clay that originates in Northern California. Also suitable for olive oil, vinaigrettes, wine and more. Just what I didn't know I was looking for. I LOVE it! The Earth-In Canteen is sturdy but surprisingly lightweight. Beautifully designed and packaged, whether you use it at home or the office or give it as a gift, it will turn hydration into a sophisticated event.